It’s Turn of the Millennium Month at Kaijuvision Radio. 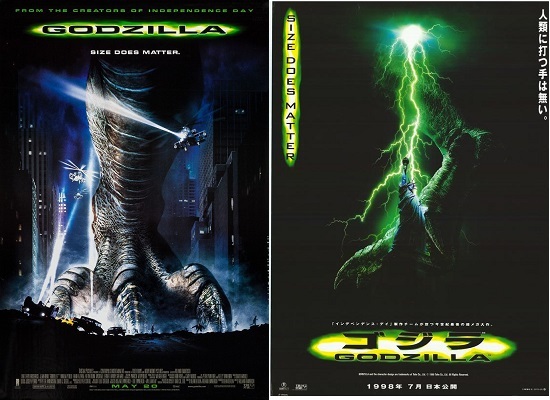 We will cover Godzilla movies from 1998-2001 all this month every Wednesday! It’s appropriate that this is April Fools’ Day week and we’re doing the episode on the Godzilla movie made by a fool and loathed by Godzilla fans. The film is commonly referred to as GINO (Godzilla In Name Only). If you’re still wondering what we think of this movie, our “scenic” YouTube video this week is of our local landfill on a dreary, cold, humid day! Listen as Brian and Nate dispose of this movie in the cinematic landfill once and for all! Our related topics are the 1998 North Korea missile test and the 1998 Nagano Winter Olympics.